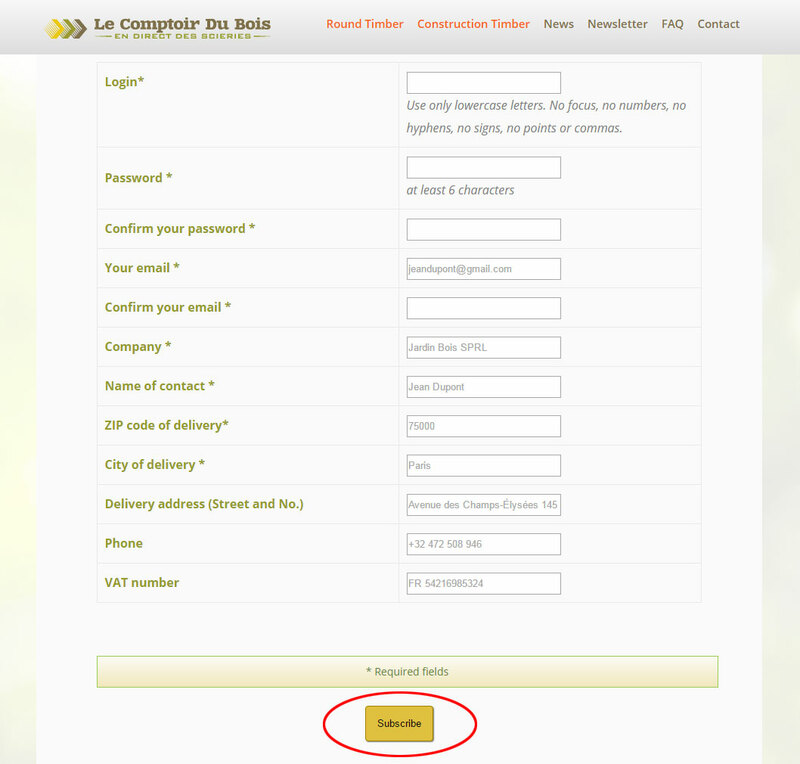 2 – – Make a request : Get customized price offers in just a few clicks. This tab allows you to register for membership for our site, and thus allowing you to benefit from the exclusive customer content. 4. You will receive a message confirming the registration application. 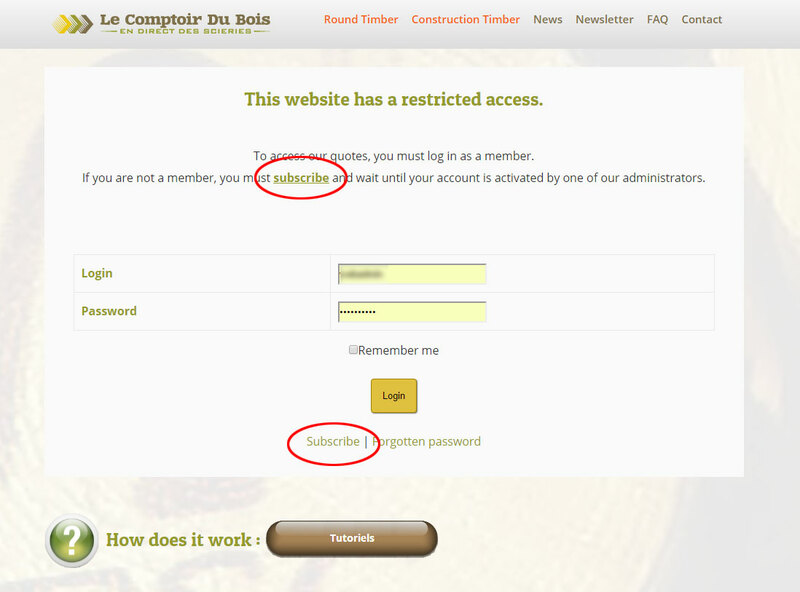 You can not connect to exclusive content pages before your account is activated by one of our administrators. The activation of an account is not always immediate and can take up to 24 hours. 5. Within 24 hours, you will receive a message confirming the activation of your membership account. Click on the URL provided in the email and you will be able to access the exclusive customer content on our website . 7. Click on the buttons containing the titles of the content you wish to access (get a price). 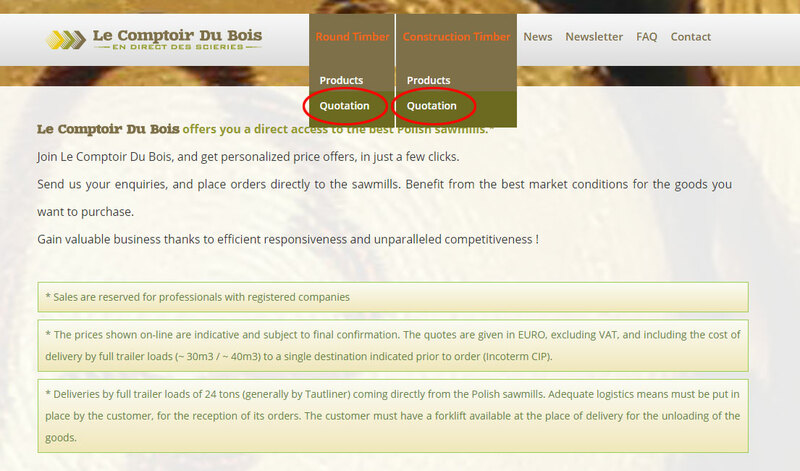 Click “Obtain a price” to access the online quote request form reserved for our members.